Spoken over fifty years ago by political revolutionary Nelson Mandela, it’s a somewhat melodramatic quote that has nonetheless remained relevant to today’s society, where political freedom still remains intangible for much of the world. Justin Chadwick’s upcoming Mandela: Long Walk to Freedom probably isn’t going to actually liberate anyone, but the above film trailer certainly makes it seem possible. The preview, courtesy of Yahoo! Movies, was released by The Weinstein Company to coincide with July 18’s Mandela Day, which marks the 95th birthday of the former South African leader and civil right's icon. In the past two years, we’ve seen Idris Elba give rousing speeches as both the captain in Ridley Scott’sPrometheus and the apocalypse-cancelling Lieutenant-Commander in Guillermo del Toro’s Pacific Rim, but Nelson Mandela is arguably the biggest role of his career, with built-in international appeal and awards potential. And if I do say so myself, he nails it. Putting him side by side with Mandela proper, I’m not sure I’d feel like I was looking at the same person, but Elba’s presence on camera is as captivating as one could imagine. Perhaps it’s because he’s playing Mandela at a younger age, but I’m more engaged by Elba than I was by Morgan Freeman’s Oscar-nominated performance in Clint Eastwood’s Invictus. Maybe I just like the giant world-building process that Long Walk to Freedom is setting up. The film looks like it will straddle the line between somewhat heavy handed schmaltz and truly inspirational storytelling. Based on Mandela’s bestselling autobiography of the same name, the film covers Mandela’s earlier years, as he came of age labeled a political terrorist, though “Apartheid abolitionist” is a more proper description. Jailed for 27 years before his rise in becoming the President of South Africa, Mandela soon became an international symbol for political justice and determination, and watching Elba say, “My lord, it is not I but the government that should plead guilty,” I find myself wanting to stand up on a soapbox and preach a peaceful message to this huge cast of extras. If I have to be critical of anything, it’s the feel good music that kicks in about a minute into the trailer. It makes it all seem like a Disney animation. But it hopefully isn’t indicative of the film as a whole. 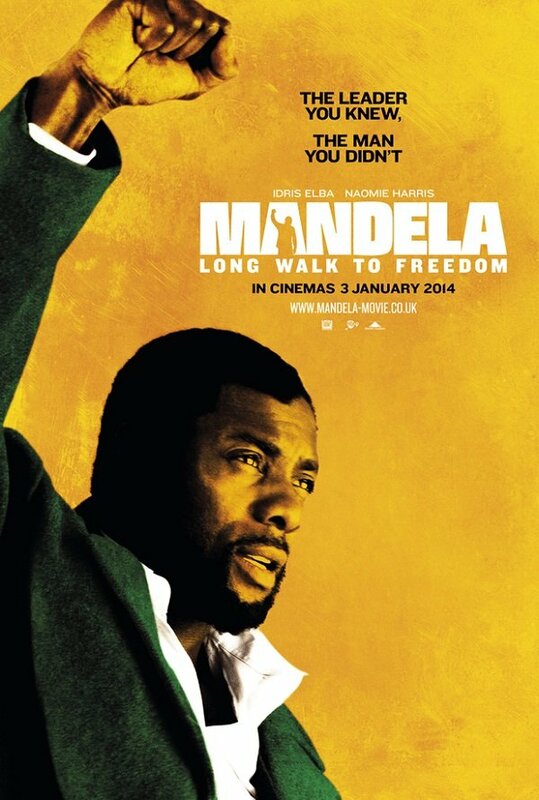 Mandela: Long Walk to Freedom, which unsuprisingly doesn’t have a huge panel at Comic-Con this weekend, will see a limited release on November 29, 2013. Check out Mandela’s Cape Town original speech in all its rousing glory below.